Miratorg has noted a growing interest in beef and marble expanding the number of potential export markets at the exhibition SIAL China. Miratorg, the No. 1 manufacturer of pork and beef to Russia, said the growing demand for marbled beef and the expansion of the number of potential export markets according to the results of SIAL China, the largest food exhibition in Asia. Vertically integrated holding company consistently increases export deliveries to Asian markets, including the expense of expansion of assortment. The product portfolio of the company includes meat, poultry, pork, beef and veal and prepared meals. Stand "Miratorg" SIAL China was attended by over 500 representatives of companies, Chinese and international traders. The exhibition has enabled the company not only to identify the demand for new promising products, but also to identify new areas for sales of products not only in the Asia-Pacific but also other regions. SIAL China exhibition annually brings together about 3 thousand participants from almost 70 countries. Meat products are traditionally presented in the private sector, where are located the pavilions of the individual countries and platforms companies. Miratorg is implementing a consistent strategy of expanding its presence in the global market, and Asia is our absolute priority. We see a great interest to the whole range of products and especially to the marble beef. "Miratorg" is ready to meet the growing demand for high quality and ecologically pure meat of the Russian manufacture", — the press service of the holding. 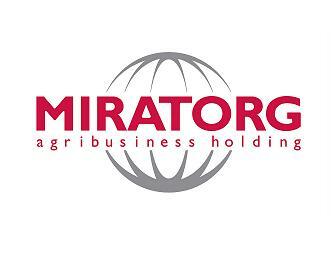 Agroindustrial holding "Miratorg", founded in 1995, is the largest producer of pork and beef, the leading meat supplier in the Russian market, ranking first among companies in the sector by revenue.